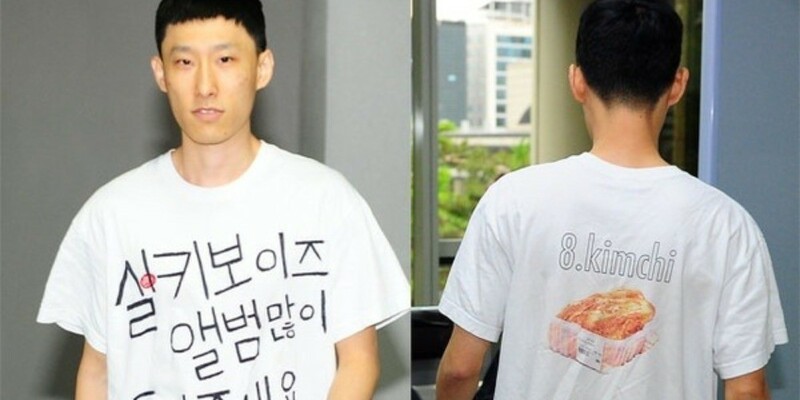 Rapper Black Nut is receiving criticism for his outfit on his day in court. 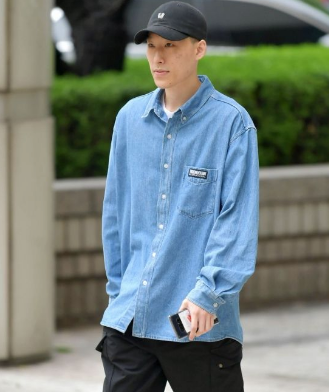 On May 17, Black Nut, who is being sued by rapper KittiB for defamation of character, attended the third court trial at Seoul Central District Court. Black Nut showed up wearing a black hat and a denim top. But after seeing the crowd of reporters, Black Nut took off his denim top to show his t-shirt underneath. The text on the shirt stated, "Please listen to Silkybois' album." According to reporters, Black Nut didn't look nervous at all but rather very playful, even putting his thumbs up. He also reportedly said, "I hope everything comes to an end today." When asked if he's okay with meeting KittiB who's also showing up at the court on the same day as the witness, Black Nut coolly responded, "I'm fine." Black Nut's outfit and behavior on court day are leading to criticism. Netizens attacked Black Nut for "taking the court and the law as a joke." Comments stated, "Seriously, what a loser", "Psycho", "He is crazy. I hope he gets strongly punished for his wrongdoings so he can't fool around like that again", "Wtf is wrong with him. I feel bad for KittiB."